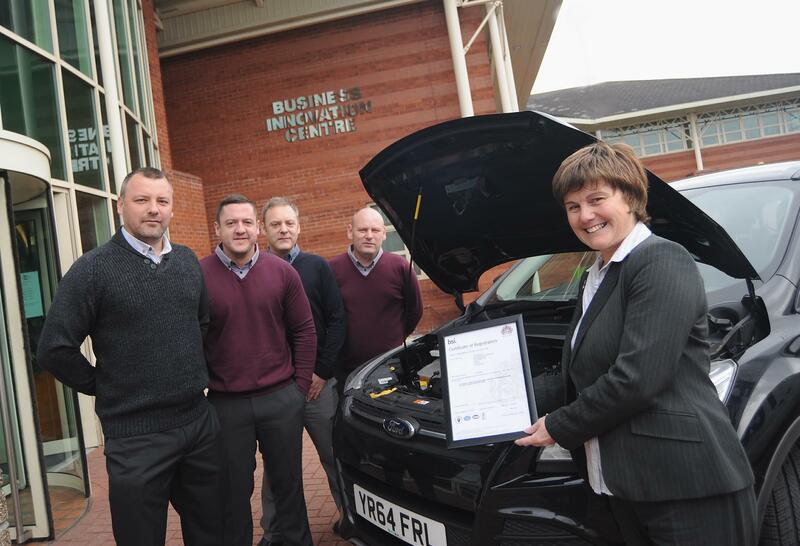 Four brothers are looking to drive future growth at the helm of an automotive rework and inspection firm in Coventry. CK Quality provides a wide range of quality inspection, rework and engineering services to leading automotive brands including Aston Martin, Land Rover and Rolls Royce as well as sub-suppliers such as Kings Automotive and Magna Group. Patrick Herbert first established the brand in 2004 and was later joined by sons Craig, Patrick, Karl and Paul who have helped to build and sustain a strong client base across the Midlands. The firm has recently expanded into new office space at the University of Warwick Science Park’s Business Innovation Centre in Binley after achieving 40 per cent growth in the last 18 months. The company employs a team of 25 reworking inspectors who get placed at key manufacturing sites to support with on the spot issues. And with the four brothers now at the helm of the family business, CK Quality plans to recruit and train additional engineers and open up office premises across the UK. CK Quality has also been awarded BSI accreditation in quality management systems which demonstrates the firm’s compliance to high standards across all areas of operation. Paul Herbert, who is a managing director at the firm, said: “We are competitive in the market and don’t believe that quality rework and inspection should come at extreme costs, which is why we have snowballed over the last 18 months. “We like to keep the ethos that our father instilled in the business and pride ourselves on providing a personal service where we will still go out and meet with all of our customers to build-up a strong relationship. He added: “Our previous premises were located in a residential area in Bedworth and we were keen to expand into office premises that were more accessible and looked professional. “We were immediately impressed with the Business Innovation Centre and felt that it would be the right location to develop the business, particularly as there are a lot of like-minded businesses situated on site. “We are very much a family business and it would be great to see our nephews, who are currently training as engineers, climb up the ladder and help drive the company. Penny Robb, centre manager, added: “It is great to welcome CK Quality to the Business Innovation Centre and I’m sure their new office space will provide the perfect environment for them to continue to develop the business. “They are already taking advantage of the conference rooms available on site and have been getting to know a number of other businesses on site that operate in the automotive sector.